As we know, recycling is so vast that we are dealing with each type of recycling in each topic. Here we are dealing with battery recycling and we make sure that we cover all aspects such as steps in battery recycling, its advantages and disadvantages too. When we are dealing with what battery is, steps in battery recycling, we cover the steps involved in each kind of battery such as lead acid battery, zinc carbon and alkaline zinc batteries, nickel hydrate, nickel cadmium and lithium ion batteries, lithium batteries and mercury batteries. A battery is an electric cell that produces energy or electricity due to the occurrence of a chemical reaction in it. In 1748 Benjamin Franklin used the term “battery” to explain the array of charged glasses. By 1800, Alessandro Volta invented voltaic pile for generating electricity with disc of zinc and copper. Fuel cell was developed by William Robert in the year 1839 by combining hydrogen and oxygen to produce electricity. By the year 1840, liquid electrodes were used in batteries. A French scientist named Gaston Plante developed the first lead acid battery which is commonly used in cars even today. Dry cell batteries were developed in the year 1881 by Carl Gassner. By the year 1899, nickel cadmium batteries were invented by a famous scientist named Waldmar Jungner. Thomas Edison invented alkaline storage battery in the year 1901 which used anode material as iron and nickel oxide as cathode material. The introductions of solar cells were by a few scientist named Calvin Fuller, Daryl Chapin and Gerald Pearson in the year 1954. Collection- this is the first steps in the recycling process. The batteries are collected from waste disposal ares and collection centers. Crushing- this is the second step in the process. Here, the batteries are broken into bits in a machine called hammer mill. Sorting- this is the fourth step in the recycling process. The crushed batteries are sorted heavy metal, lead and other plastics. During this process the bits of plastic has to go through a vat. Sieving- in this sieving process, the polypropylene pieces are removed. After this process only heavy metals and lead remain. The remaining lead and heavy metal is washed thoroughly and can be used to manufacture new batteries. Hydro-metallurgical and pyro-metallurgical process- both these process is used for the extraction of minerals and metals. This is usually done in the final stages of battery recycling. Both these above mentioned process include roasting, calcinations, seating and refining of the lead obtained from the other process. This is usually done after thorough cleaning of lead. After the lead is liquidified, it has to go through chemical processes for the elimination of impurities. Then this is poured into moulds and allowed to cool. This is then removed from moulds after complete cooling and given to battery manufacturers. Alkaline zinc and zinc carbon batteries can be completely recycled. First these batteries are dismantled and sorted according to their type. They are sorted into three parts namely steel, plastic and zinc/manganese. All these are separated and taken to the recycling centers where they are used to make new batteries. All the above mentioned types like lithium ion, nickel hydrate and lithium cadmium batteries can be completely recycled. First the plastics are separated from the batteries. The other components are reused for recycling. The metals are smelted through a process named HMTR (high temperature metal reclamation). During this process, certain metals like nickel, manganese, iron and chromium are recovered through a process called hydro-metallurgical and pyro-metallurgical processes. The recovered items are taken to the recycling units and reused for the production of new batteries. The lithium batteries are initially hammered so that the inner battery components are released. Now the next step is to remove plastics. The inner battery parts are shredded. These tiny bits are now dipped in water so that the electrolytes are neutralized. Now the metals containing iron and not containing iron are separated. Later on these are given to recycling units. The remaining like lithium gets converted into lithium carbonate that is commonly used for making aluminium foil. Mercury batteries are highly toxic in nature. So they have to be handled with atmost care with controlled temperature. The same process like hydro-metallurgical and pyro-metallurgical is used in a very controlled manner for the extraction. Once the mercury is eliminated, it can be further used to for the manufacture of new batteries, florescent lighting, dental amalgams and other metric instruments. But over the years, the mercury battery manufacture has decreased considerably because of a threat to the environment. Certain countries have even banned the use of mercury batteries. Reduces landfills : as the wasted batteries are taken to the recycling units, the amount dumped in the landfills are reduced considerably. This in turn reduces land, air and water pollution. Saving of resources : battery recycling saves resources. In short, fewer resources are utilized in the creation of new batteries because most of the contents used as recycled. The existing resources are reused for the making if new product. Pollution is minimized : this is one of the major attractions of recycling of batteries. Since it is abundantly found, it is very important to recycle as it is non biodegradable. This reduces pollution I to a great extend. Job opportunities : a lot of job opportunities are created in the recycling industry. Right from collection of batteries from waste dumping areas and collection centers till the delivery of the final product to the market, a lot of opportunities are created. Environment becomes clean : the cleanliness of the surrounding increases as very little waste is dumped. This has a positive impact on the environment. This in turn protects the biodiversity. Reduces global warming : the dumping of waste and its burning causes emission of various toxin gases like sulfur, carbon, nitrogen and so on. This gets absorbed into the atmosphere which in turn triggers global warming and climate change. Low grade job opportunities are created in this field. The value of the recycled products is comparatively low as compared to newer products. Recycling is not a cost effective method as huge investment is required in setting up of industries. Recycling does not guarantee good quality products. The breakdown of batteries in the recycling process causes emission of toxins that are harmful and thus polluting the environment. 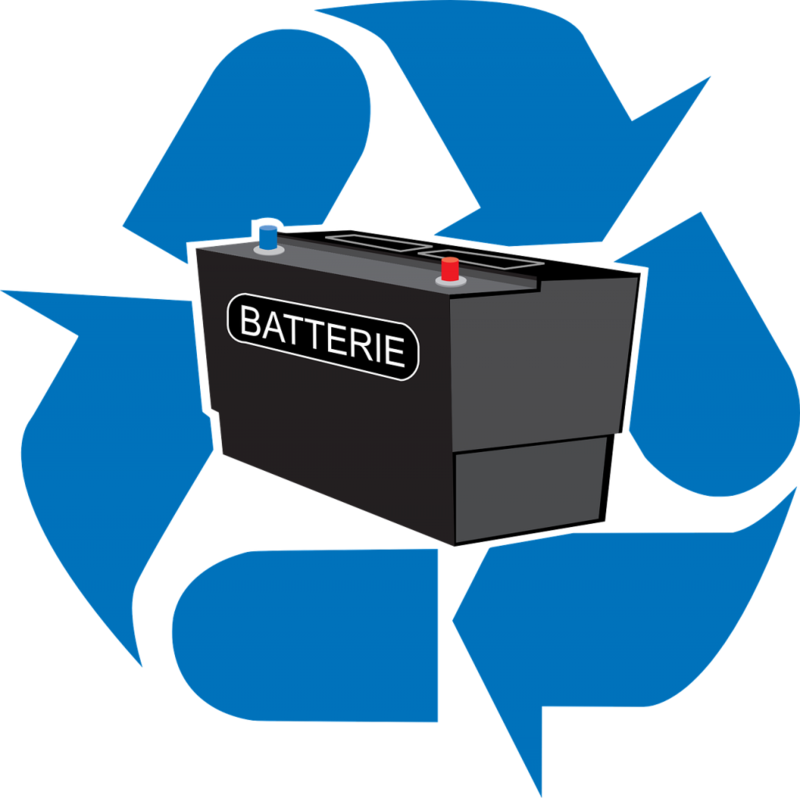 Battery recycling is a very beneficial process as it has a positive impact on the environment as a whole. In this modern era, recycling is essential considering the scarcity of resources. Recycling is the only option remaining to reduce the effect of pollution. More technical advancements should be made in this area so that recycling improves the quality of the goods. Incentives and attractive schemes should be provided by the government so that more people will be encouraged to start recycling units. Awareness programs should be conducted among people so that more people will be aware about the methods, benefits and quality of recycling. So thus to conclude, recycling is the best way to save earth from battery pollution.